Retro inspired T- shirt. The T-shirt features an embroidered CbyM sport patch to the left breast and text to the right. 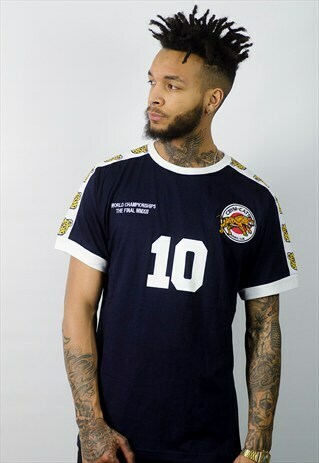 The shoulders feature a leopard sublimated strip, assisting with the vintage look. Model is 6ft and wears Medium.